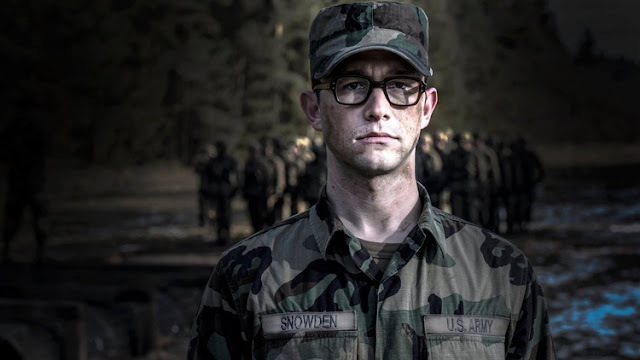 In Oliver Stone’s "Snowden", Joseph Gordon-Levitt stars as one of the most polarizing figures of our times - the man responsible for what’s been described as the most far-reaching security breach in U.S. intelligence history. Snowden (whose supporting cast includes Shailene Woodley, Zachary Quinto, Tom Wilkinson and Melissa Leo) tells the story of Edward Snowden’s political transformation over a nine year period - from conservative patriot to whistle blower living in exile - in a film which raises proactive questions concerning our sacrifice of privacy in the name (and arguably under the pretext) of national security. Below is the interview made with Joseph Gordon-Levitt (JGL). Q: What was it that initially attracted you to Snowden? 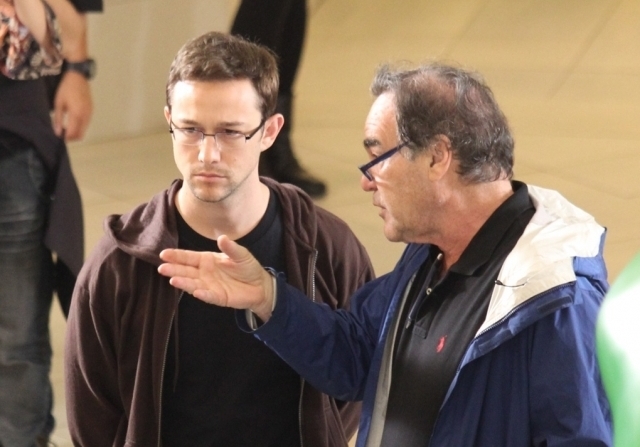 JGL: At first, it was just getting a call from Oliver Stone. He’s made so many great movies that I’ve loved over the years. I was really flattered and excited to hear from him. When he told me that he wanted me to play Edward Snowden, the truth is I knew almost nothing about him at that time. Q: When did that conversation take place? JGL: This was in 2014, about a year after Snowden had made his disclosures. I knew his name, but I didn’t really know exactly what he had done. Once I got the call from Oliver, I began taking a much closer look. What I immediately found, of course, is that there are a lot of different opinions about him. If you google “Edward Snowden” you’ll find a wide variety of different things. That was the beginning of my experience with this whole project - just trying to parse it all for myself. You know, how do you know who and what to believe? Did you get a chance to meet Snowden himself prior to filming? JGL: I did get a chance to meet him. I went to Moscow and I sat with Ed and his girlfriend, Lindsey Mills (played by Shailene Woodley), for about four hours. It was several months before we started filming. One of the first things I noticed about him - granted as an actor about to play him in a film - is that he has really good manners. I know that everyone thinks of him as a political figure, but because I was going to portray him as a human being in a movie I was paying attention to different kinds of things. How he shakes your hand – small things like that. One of the things I had to incorporate into what I was doing is that he’s sort of almost an old-fashioned, gentleman - a very polite man. Q: He was also, judging from the film, a very high level US government operative. JGL: Frankly, I’m not expert enough in the structures of these agencies to say how important he was or wasn’t. One thing I think I can say is he’s very knowledgeable. I’m not an expert when it comes to the technical side of computers. But I’ve spoken to people who are and everyone says his technical knowledge is very strong. He was getting paid to contend with some of the most technically sophisticated cyber-espionage activities going on in the world. He knows what he’s talking about when it comes to the technical stuff. How closely does the film stick to the events and where does it take dramatic license? JGL: As a drama, I imagine it would have to? Sure - it’s a drama. There’s plenty of works of journalism and great documentaries about Edward Snowden already. Our goal was to tell a human story about the guy... And as far as the human story of Mr. Snowden’s life is concerned, it’s an accurate portrayal. Maybe not in every detail, because that would be impossible. But it is an accurate portrayal in the overarching story of the nine years of his life leading up to these disclosures that he made. Whether you agree with what he did or you disagree with what he did, it’s a fascinating story either way. It’s the exact kind of stuff that great dramas are built on. A man’s personal evolution. JGL: This is to me kind of the crux of what this movie is about. It’s also really the crux of most of Oliver Stone’s movies. To be patriotic is not to just have blanket allegiance. To be patriotic is to love your country enough to raise your hand when there’s something going wrong. When you really love something you stand up to make sure that it’s on the right track. You just don’t let it slip and not say anything. This is the kind of patriotism that over many years Edward Snowden arrived at. In just the human story of it, I think that is a very accurate portrayal of what Edward Snowden went through. Is that what distinguishes the film from documentaries such as Laura Poitras’ Citizenfour? JGL: I think so. This movie is more about the man. Snowden himself has said ‘this isn’t about me; this should be about issues.’ I think in a certain way he’s right and I admire him for saying that. And he is going to say that because the issues are what he cares about. But the reality is that we are human beings… And so we’re going to be curious about who this guy is and why he did what he did. So seeing the story of nine years of his life leading up to these disclosures is very different than what a documentary can do or what a work of non-fiction can do. What was it like working with Oliver Stone? JGL: I don’t think that any director, certainly in the United States, could have made this film. He wanted to make an entertaining thriller with all of the production value that an audience would want on a Friday night at the cinema and at the same time wanted to stand up and say the US government, in this particular case, was doing something wrong. There really aren’t very many directors who do anything like that. And there are no other directors who have done it as pointedly as Oliver has. I think he’s really the only director that could have made this movie. What was the production itself like? JGL: We shot primarily in Germany. We also shot in Washington DC, Hawaii and Hong Kong. We literally went around the world shooting this movie. Why shoot the bulk of the film outside the US? In the United States I think it’s roughly half and half – the people who believe that Edward Snowden did the right thing and those who think he didn’t… There are still a lot of negative sentiments towards him here. So it’s a risky business venture for an American company to invest in a project like this… When it comes to companies investing lots of money for a grand scale movie like this, I think Oliver had to look outside of the United States. What’s your take on Snowden? Is he a hero, a traitor or something else? JGL: Everyone asks this question. I think it’s indicative of the way that we talk about these kinds of things in our culture. It’s become very simplistic. It has to be black or white. Hero or traitor? I think that that kind of simplistic thinking is not really helpful and not really accurate. Not everything can be summed up in a 140-character tweet. The world is more complicated than that. The first thing that I can say about the Edward Snowden story is that it’s complicated. Did he break the law? Yes, he broke the law… [But] he broke the law because there was something more important that was wrong. Me, personally, I’m grateful for what he did. But I would still be skeptical of anyone who tells you, “Oh, it’s very simple.” It’s not simple. What was your greatest takeaway from making the film? JGL: I was raised in a time when it had just become common for a middle class American family to have a computer in the house. It’s now become very clear that computers are a part of nearly every facet of our lives. And it’s also clear that as we move into the future, that’s only going to become more and more true. Working on this movie, and spending all this time thinking about this, kind of brought me face to face with the reality that this is the challenge that my generation has inherited. My parents’ generation were the first ones to grow up with nuclear weapons being a reality. In many ways that defines that generation. I think in many ways the advent of personal computers and the internet will define my generation. It’s really up to us to decide how that technology gets used. Edward Snowden demonstrated to us that this technology can be used in a secretive way by powerful institutions to preserve their own power. At the same time the same technology can be used to create a more compassionate, egalitarian and hopefully more productive society. Well, who’s going to decide which way the technology goes? I think doing this movie made me realize, we’re the ones. It’s people my age who are going to be the ones who decide this. And honestly, it makes me excited. I tend to be an optimist. I know it’s scary, but I think we’re up to the task. Even though I think the Snowden story reveals some scary stuff, I think I came out of the experience feeling optimistic. “Snowden” will have its nationwide screening coming this September 28, 2016 as released and distributed by Captive Cinema in the Philippines. 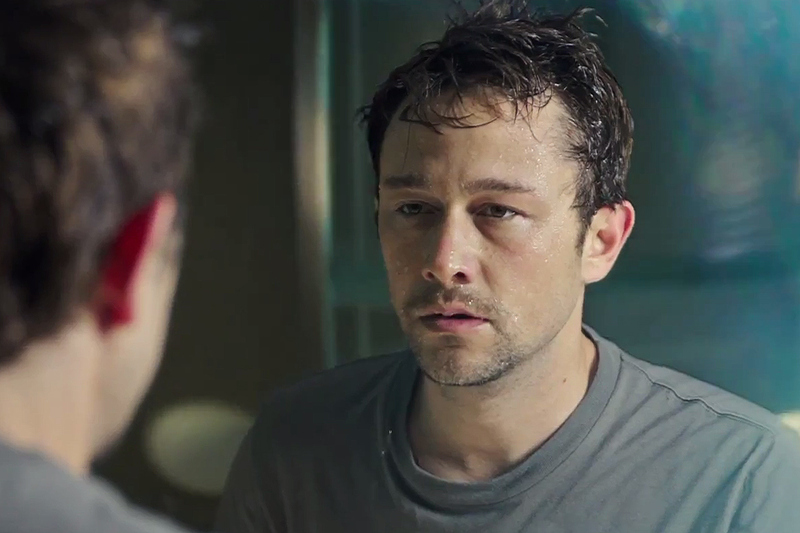 Below is the full movie trailer for "Snowden" starring Joseph Gordon-Levitt.